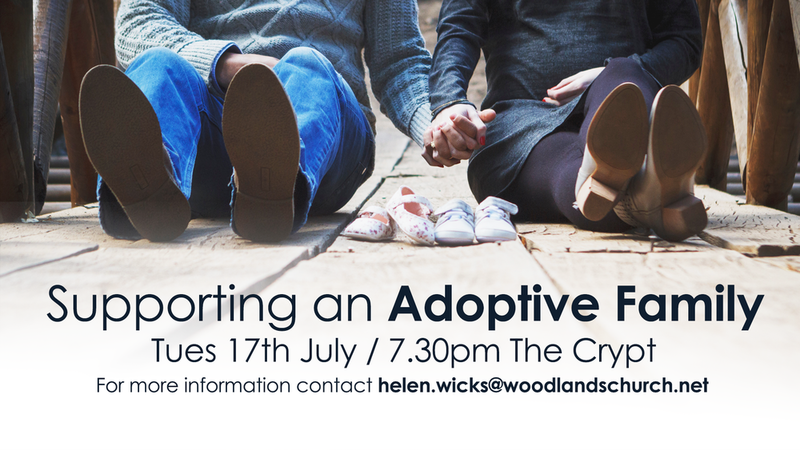 An evening event to explore the subject of supporting adoptive families in our church with refreshments, story, and a Q&A time. This would be helpful for friends and family of adoptive rents, kids workers and pastoral leaders wanting to gather around adoptive families and see them thrive in our church setting. Come and bring your best questions! Contact helen.wicks@woodlandschurch.net for more.